Display Your Business Cards Like a Pro! If you are looking to create outstanding Business Card Mockups to display your latest designs, you can use Placeit’s Business Card Mockup Generator. 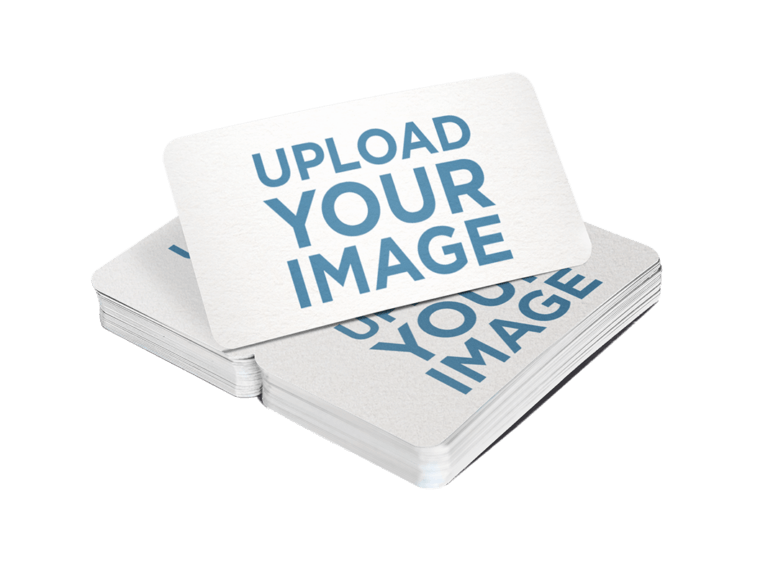 It allows you to generate original, photorealistic business card mockups to display your branding designs, add to your graphic design portfolio or use as part of your marketing campaign. Making it a fundamental asset of your marketing strategy would be a logical thing to do. By using Placeit’s business card mockup, you will finally be able to stand out and outshine your competitors in no time and with no effort! Why Would I Need a Mockup Tool? 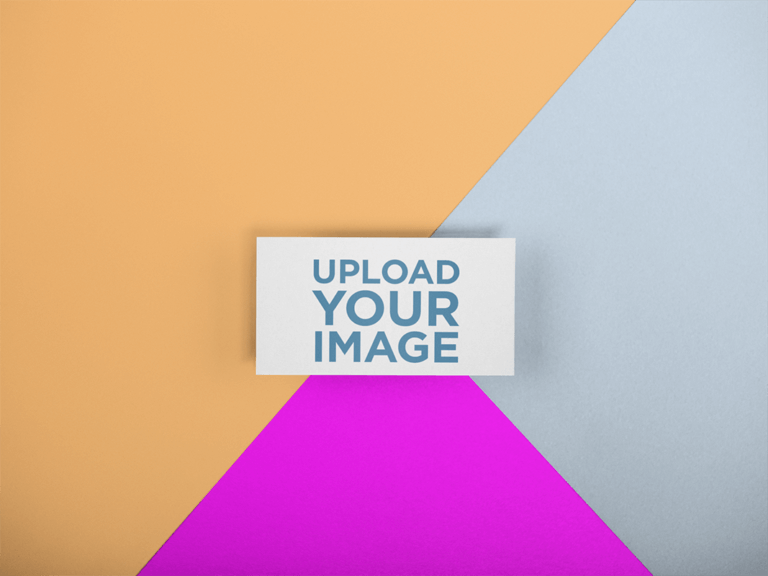 The best thing about the card mockup generator is it allows you to produce beautiful visuals to display your work in no time, making it faster for you to generate eye-catching visual content. Making these branding visual assets is really easy, it only takes for you to choose an image you would like to display on the business card mockup, then drag and drop it onto the template or input a URL so that we can resize it for you, and then just download the generated high resolution PNG file! Put your design on this template right now and see how your sales grow! You can choose between a lot of different color combinations for the surface in which the business card is lying upon. Cool, right? 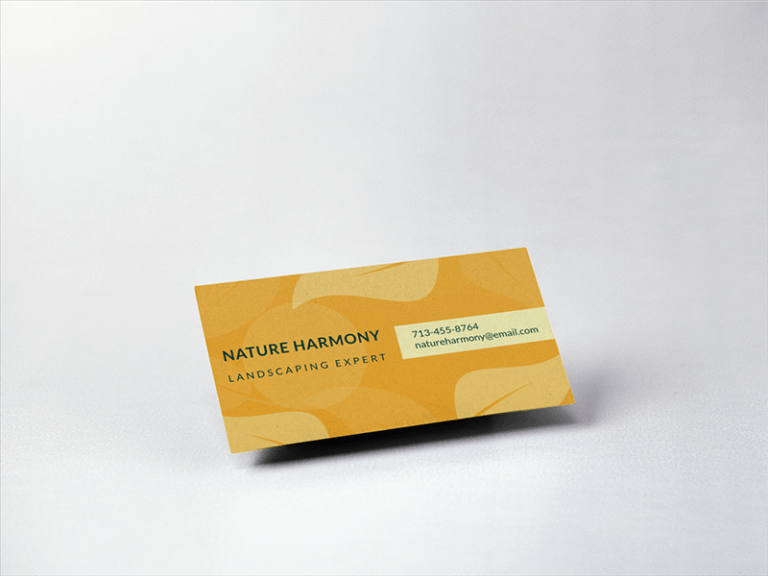 Showcase your logo through this mockup of a business card over a wood table. 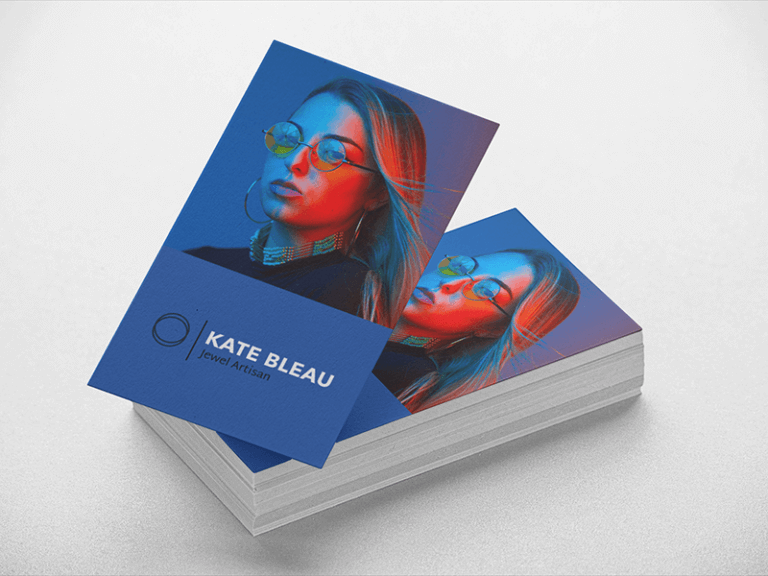 This mockup of a paper business card lying over a flat surface is a great idea if you are looking to promote your design in a creative and simple way, you can actually choose the background color that you like the most. 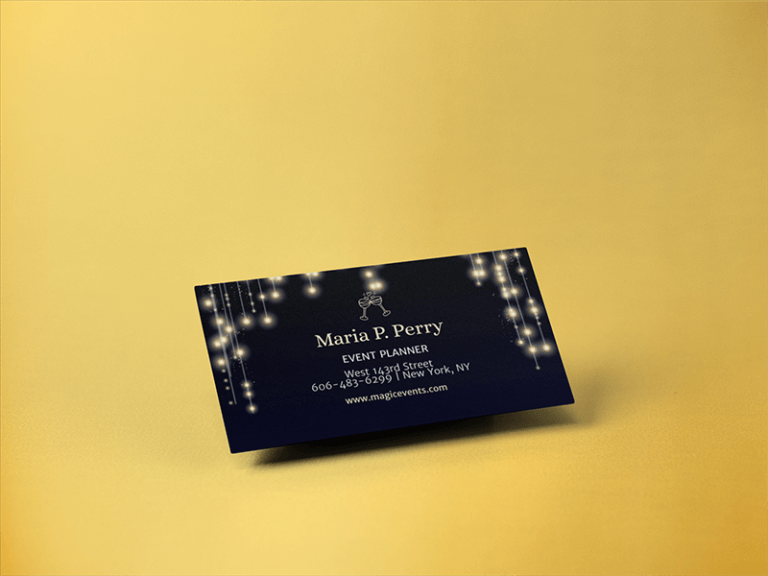 Make this business card mockup part of your visual marketing strategy today and see your ideas come to life! A mockup featuring a paper business card on a surface with three colors, use it to showcase your latest designs or logos to your audience. Put your design on this set of business cards lying over a blue surface. Show your audience that your design will look good on a badge holder and as an isolated business card as well! Start being creative with a business card video! 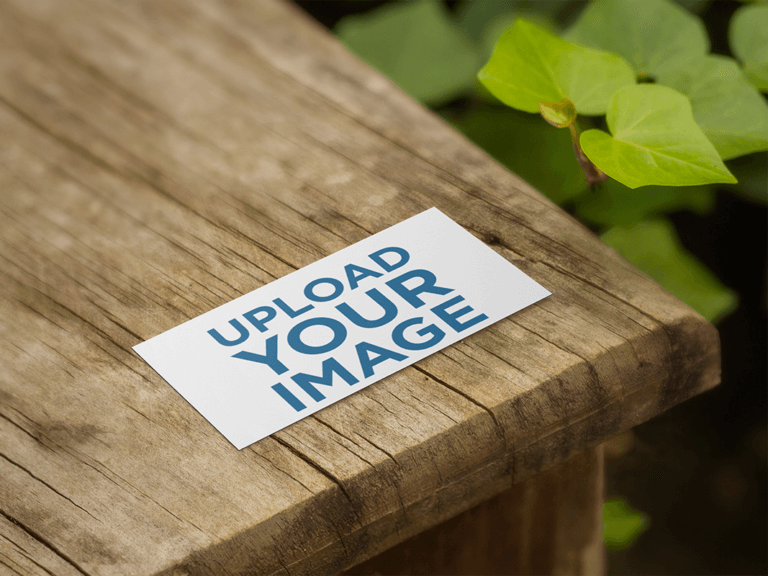 All you have to do is drag-and-drop an image file on the interface, we will process it for you in just seconds. Try Placeit's Business Card Maker Too! Make a Business Card Design! Got Your Mockups? Time to Advertise! When was the last time you made any changes to your branding campaign? Can’t even remember? Then, it might be time to go check out Placeit’s mockups to help you make up your mind. 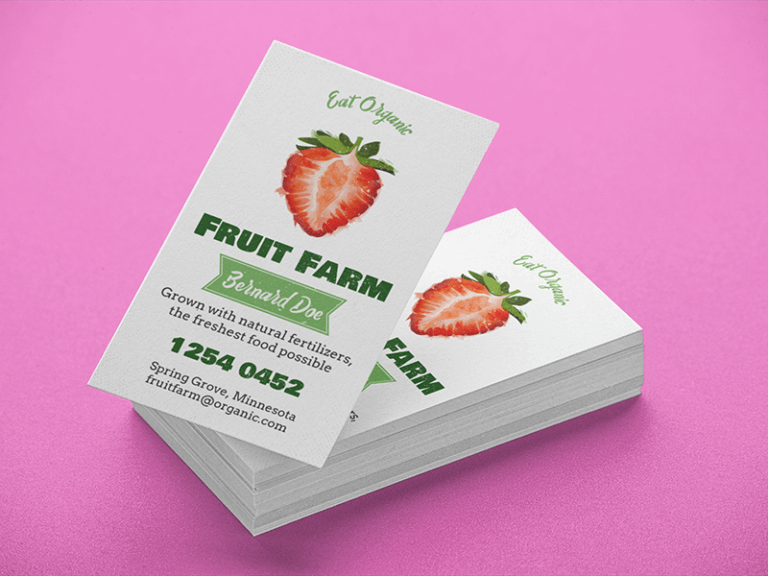 Use card mockups to advertise your business’s latest idea or new design and make an impact on the market. 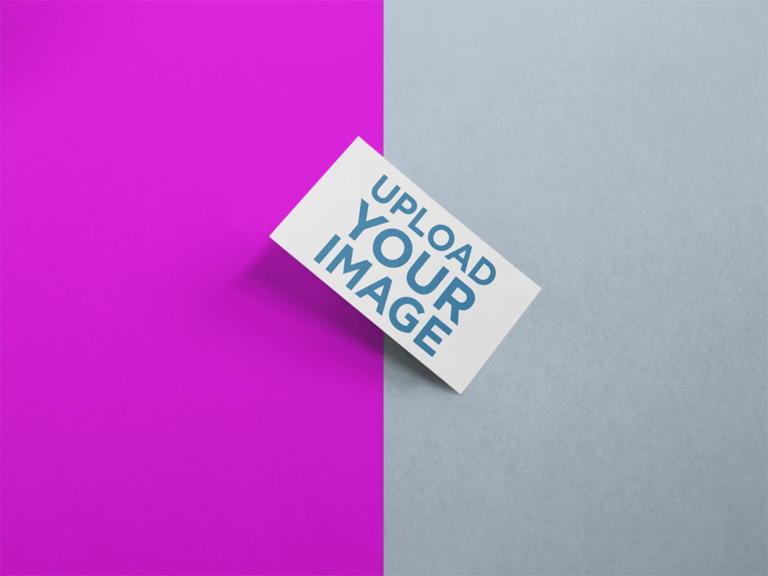 Mockups are really simple to use, just drag and drop your desired image onto the template and download to start enjoying them right away! Wondering about sizes for your design file? Check out our Ultimate Guide to Print Sizes for information and templates to use when designing your brand new business cards. 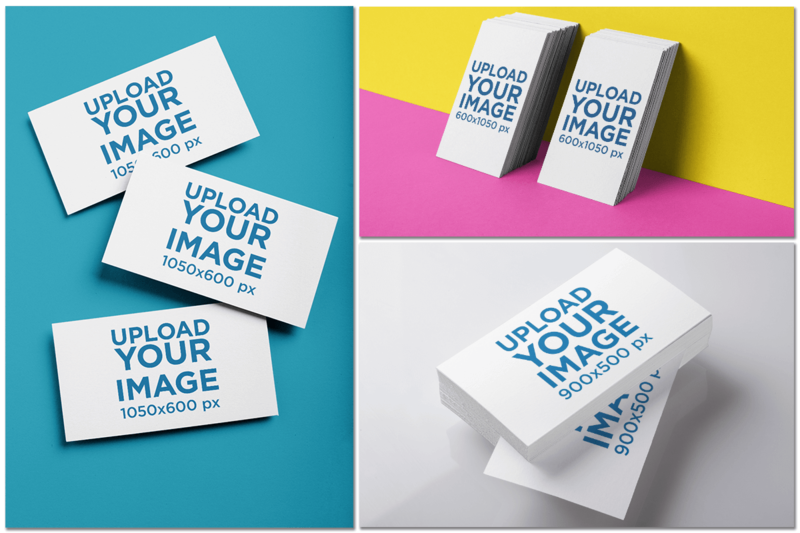 With Placeit’s unlimited subscription you can not only use our fabulous business card mockup generator, but you can also design your very own business card with just a few clicks! It’s the easiest design tool in the market. You can also create amazing logos, flyers, social media images and even videos! Whatever your brand, whatever your business Placeit has everything for you! 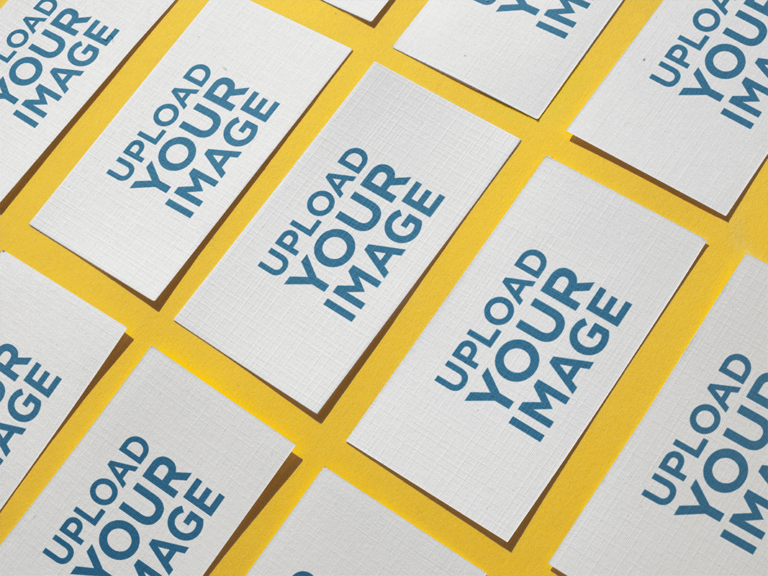 Download Realistic Business Card Mockups Straight from Your Browser! Showcasing your designs within real-life context images had never been this simple before. Keep in mind that some of our mockups have special effects, which will help you enhance your marketing strategy even more! Don't forget that our +3000 mockup gallery is being constantly updated so that whenever you visit us you can find something new to suit your needs. No cumbersome PSDs anymore! 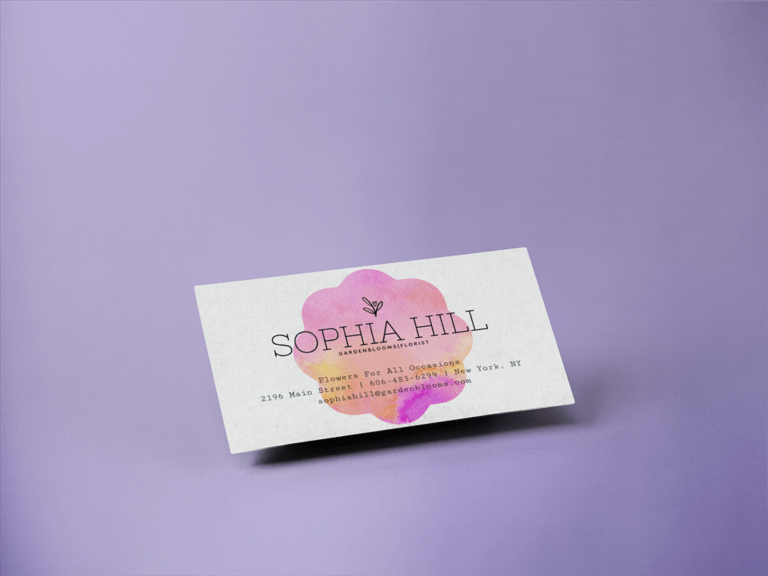 Make a Business Card Mockup Now! "Now I can display my brand designs with a professional finish on Placeit's mockups"